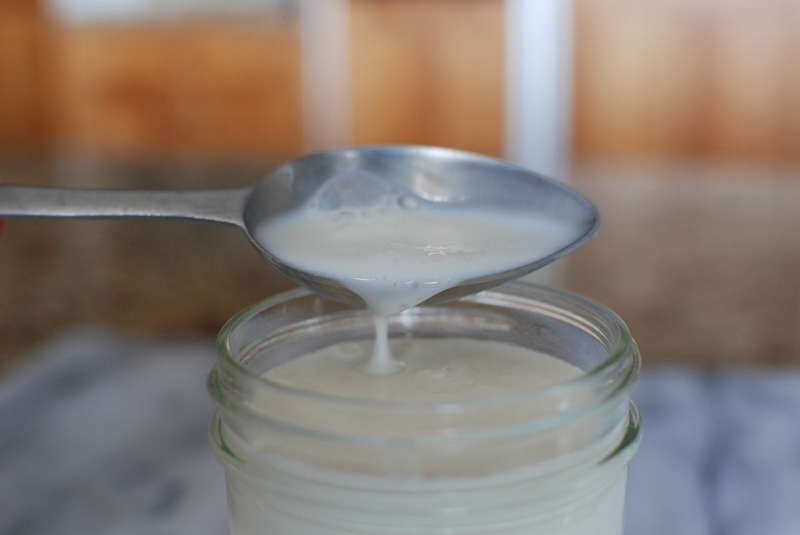 Creme Fraiche is so expensive yet so easy to make. When I made the Carbonara, I decided that I would purchase my favorite creme fraiche. I needed to 8 oz containers…the cost…a whopping $5.59 per 8 oz. That was the best price I could find. I found the same brand for $6.99. I started to research how to make creme fraiche. I CANNOT believe how simple this was. Why have I not been doing this for the past ?? years. 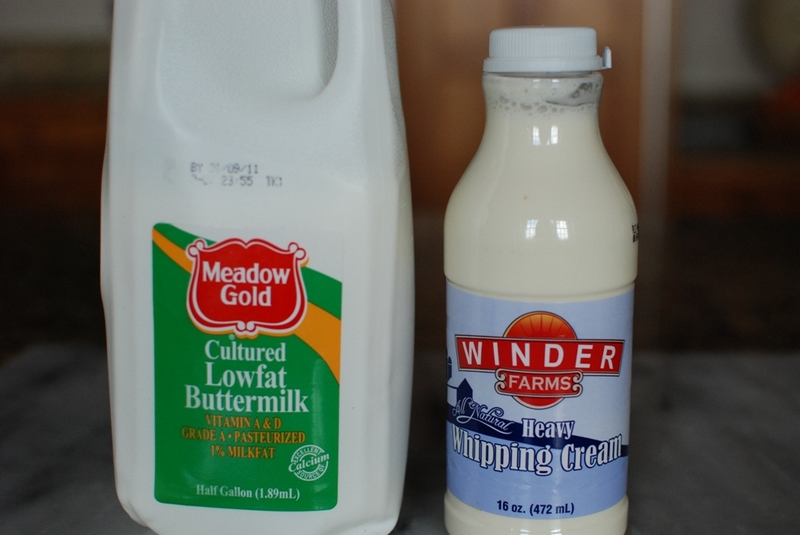 You will need 16 ounces of heavy whipping cream and 2 tablespoons of buttermilk. 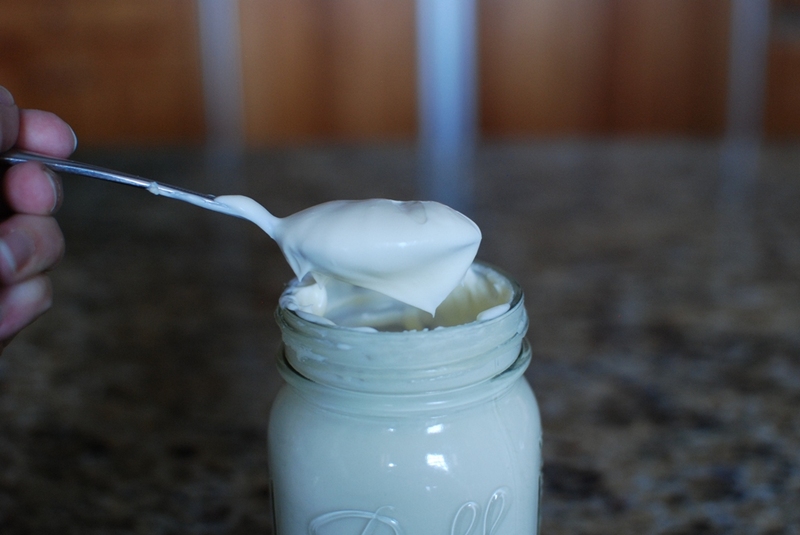 Pour the whipping cream into a jar or a bowl. Add the two tablespoons of buttermilk. If you are using a jar, screw on the lid. If you are using a bowl, cover with plastic wrap. 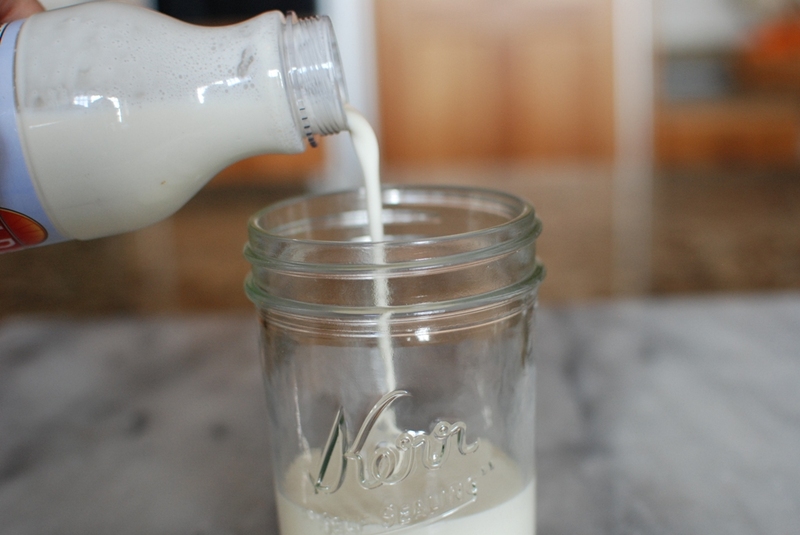 Let the jar sit out on the counter at room temperature until thick. It took about 48 hours for my cream to thicken. It’s still pretty cold outside in Utah. I’m thinking that in the summer with warm temperatures that it might not take so long. After the creme fraiche has thickened, store in the refrigerator. Creme Fraiche. Probably the easiest thing you will ever make. 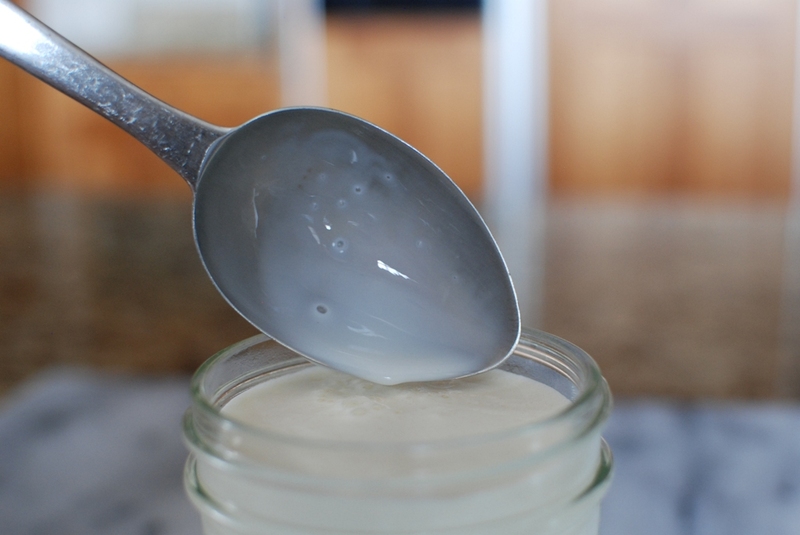 In a large jar with a lid, pour in cream. Add buttermilk and stir. 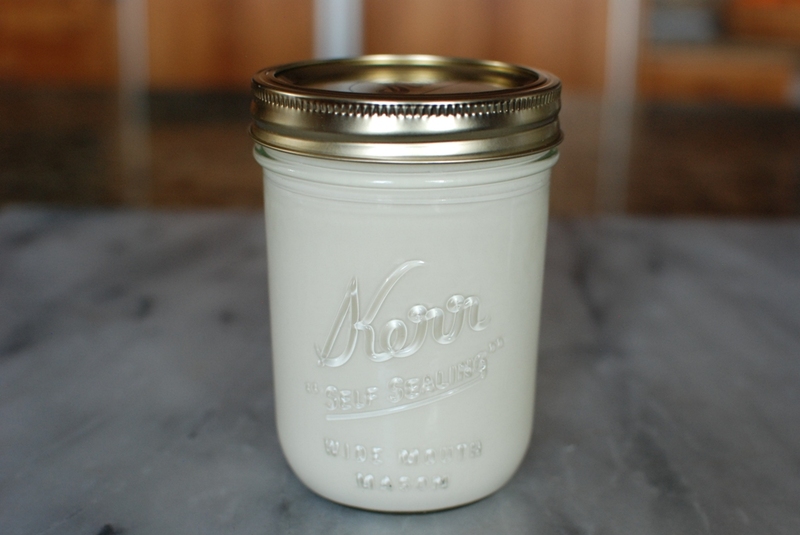 Let sit at room temperature for 24-48 hours or until cream is the consistency of sour cream. Store in refrigerator. I have had it last a good two weeks. Omg!!! I was going thru your recipes and I've noticed the carbonara one…I am so happy I clicked on it, I been trying to find a creamy sauce that is also close to the italian "panna da cucina" and usually just the heavy cream wasn't working out for me…I will also try it on tortellini alla panna. Thank you Janet you are a pro at what you do. Wow! What a nice compliment. Thank you so much. The creme fraiche is great to always have on hand. I'm so glad you found me, Kathy! This is so awesome to have in the refrigerator and so much cheaper than purchasing. I hope you love it. I know!!! I've been paying a fortune for the stuff and had to go to a specialty market to buy it. Not any more. What took me so long? That is fabulous. Where I live, creme fraiche is a near-impossible commodity to come by, so I've missed out on a fair number of great recipes in recent years. But never again. Thanks for this!